It was rainy few days ago and now the sun said, "Hello World" and "What's up Ben?". I felt hot...uhm, I mean perspiring hot and decided to have a cold snack. 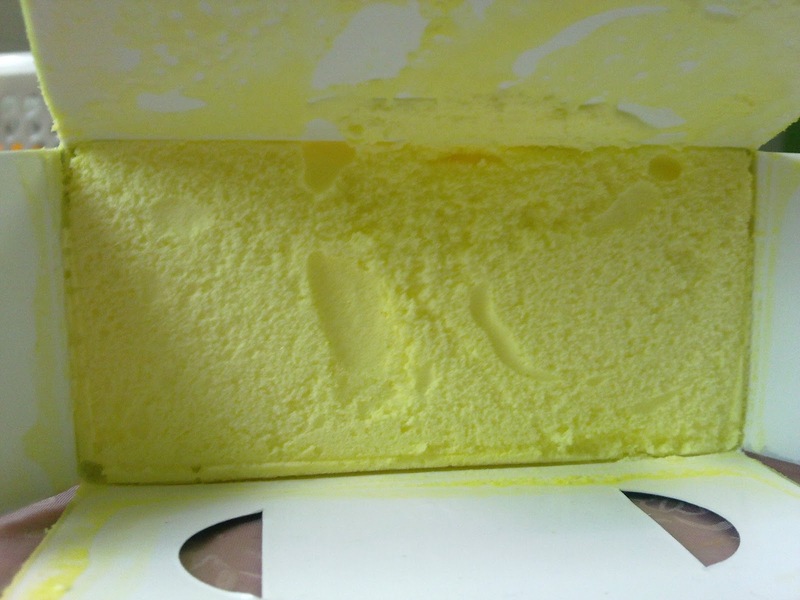 Just remembered that I bought an ice cream in a box last month and it was in our freezer. I took it out and opened. 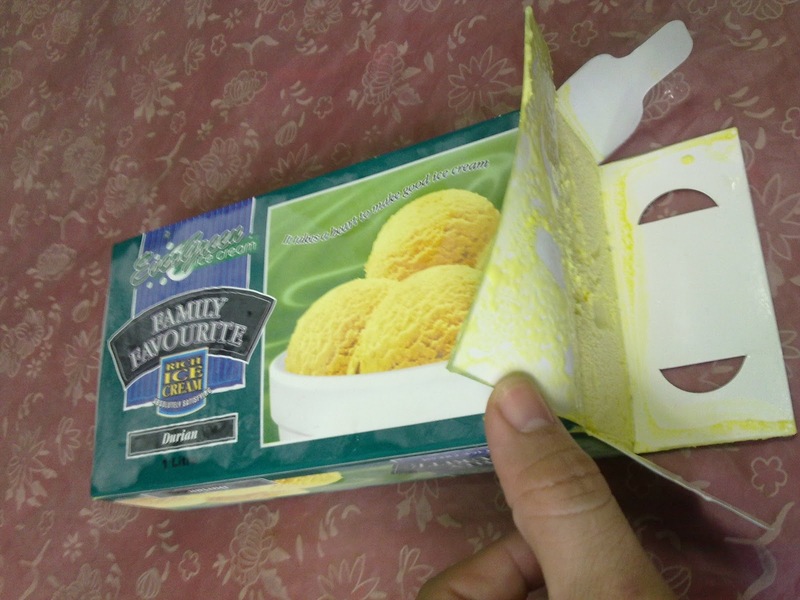 Since it was my first time to buy this ice cream, I was surprised as I opened it, it was a boxed ice cream without any cover. What I expected is that it should be in an aluminum foil or something. I dig in few scoops of it and since the flavor is Durian, the smell of it is all around the kitchen. I don't care about that, my flatmates are not around and this is my favorite fruit. I bought it from the kids doing door to door selling and thought it was nice to have some and help them learn how to do business. It cost me S$15 for one box though, pretty expensive. 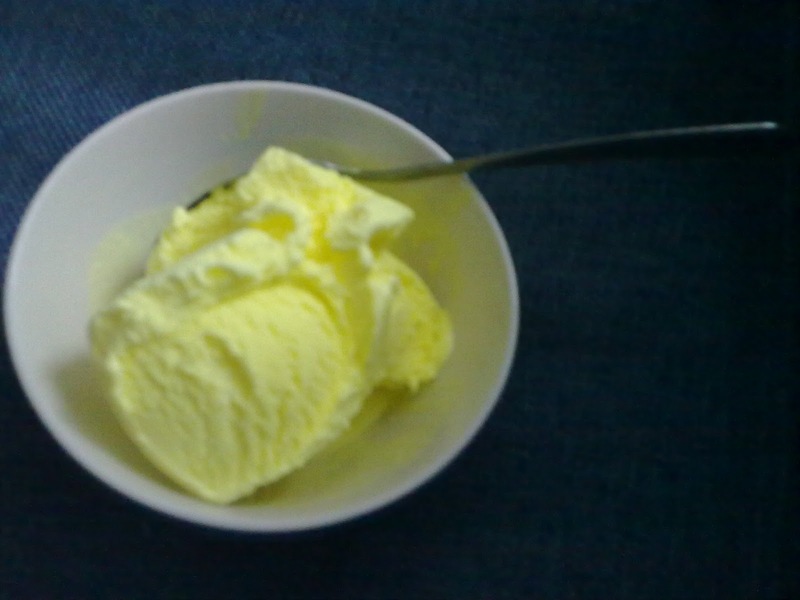 It taste sweeter than Selecta ice cream but its deliciously cold.